Ever since America adopted the Establishment Clause as part of the First Amendment in 1791, the public and lawmakers have grappled with what it means to separate the church and the state. While many people support full separation of the two, and embrace the spirit of freedom by welcoming all different sorts of pious folks, most seem to concede the fact that America is a ‘Christian nation’. How can this be if in the constitution, it is made very clear that there is to be no, “law respecting an establishment of religion”? Well, one should start at the very beginning to ask this question, the beginning of the United States: the colonies. Religion was a massive contributor to European aspirations of a life in the New World, but how diverse could a very Christian continent be? Very, in fact, countless denominations scattered across the continent influenced politics and daily life but when you have Anglican England telling its citizens that they must be Anglican, rightful animosity came about. Despite the very clear lines between Catholic, Anglican, Baptist and many other denominations, they all still had one thing in common: they were still very much Christian religions. So, while America is viewed as a melting pot of races, religions and cultures its birthright was simply that of Christian diversity. This is all very well and true but the fact remains that a solid 21.6% of America remains very distinctly not Christian, according to a Pew study done in 2007. And the fact that most of the remaining three quarters likely don’t attend church and put about as much thought into it as to what toothpaste they buy. So with this loosening attachment America has secured in Christianity, how can laws remain that promote it so heavily? Well, they don’t, or at least most of them have been done away with. In the late twentieth century, lawmakers were actually quite busy with secularizing America, specifically in schools. In 1962 and 1963, facilitated prayer in public school was deemed unconstitutional whilst Bible reading in public schools was halted as well. In 1980, the Supreme Court deemed Ten Commandments’ presence in public classrooms unconstitutional. 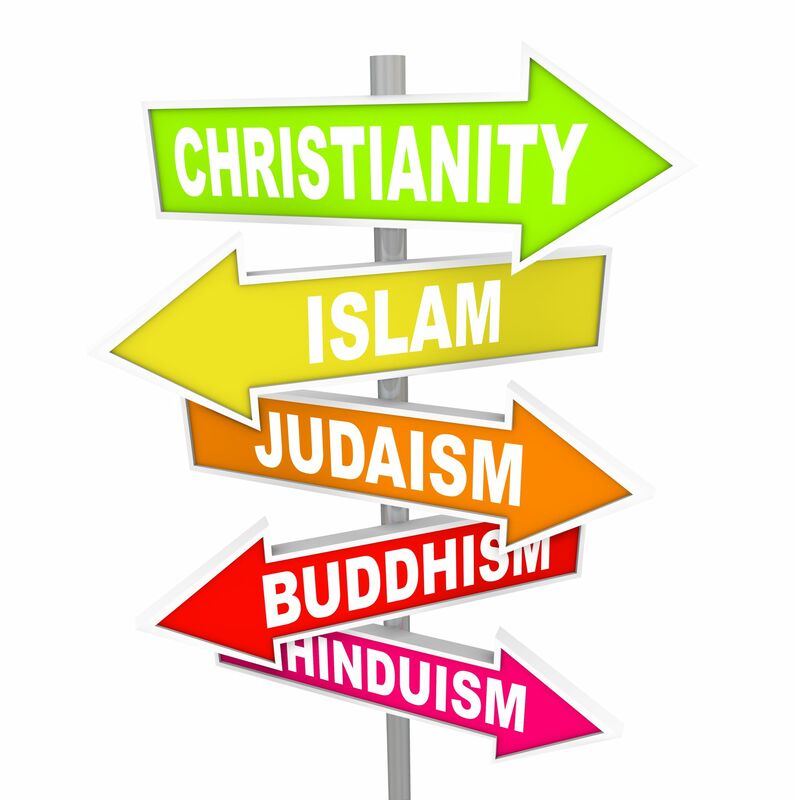 So, with these significant steps towards secularity, among many others, what’s still left to do? That question seems to be the target of hugely polarized opinions. As far as obvious things go there are still the words, “In God We Trust” on the money and, “under God” in the Pledge of Allegiance, but do these matter? Many make the argument that the word, ‘God’ is simply the embodiment of a spiritual America, a single cause we can all get behind, while others feel it is clearly just another Christian reference with no place in secular America. North Springs’ U.S. History teacher, Eric Smith feels that to remove these words would be to strip America of an important cultural idea, “It is more of a reflection of our culture and our history than it is necessarily a (religious reference). It is not forcing anybody to accept or believe it’s more of a cultural aspect of who we are and what we come from,” said Smith. Which one can certainly understand, as the country was birthed through a maelstrom of issues including a passionate movement for religious freedom. However, many feel the smothering effects of a lingeringly Christian government. This especially affects those who follow polytheist religions as well as those who follow no religions at all. One can find it in themselves to make the God on the money the Jewish God, the Muslim God or Allah etc. but for folks like Hindus and atheists that isn’t really possible. And it seems like both sides of the deal understand this, as Eric Abel puts it, “I don’t really mind, I mean, I have faith in God… Yeah I think that would make them feel a little offended (Hindus) I mean our government is meant to be a separation of church and state and that kind of violates that whole concept.” So with such empathetic people on the Christian side of things why hasn’t anything changed since the fifties in regards to these things? The answer seems to be that people simply don’t care. Most people can’t find the effort to care about such a seemingly harmless part of our daily lives. While these few, brief words might not be immediately harmful one wonders how much longer they can survive with issues like atheist military chaplains and the requirement for air force personnel to swear their oaths on a Bible coming under fire and more attention coming to the ambiguous idea of secularism in government. Even students, with the aid of secular organizations, have been taking the initiative to remove religious imagery from their schools. Regardless of the overall public opinion it appears that people are beginning to pay more attention to these things and it will certainly be an exciting following decades for those eager to see where things go. The Establishment Clause is simple and clean. “God” on our money and pledge was no coincidence. These things were added during the Cold War as a “F-you” to the non-belief-holding Reds. It’s not a ‘Christian government’ that is smothering normal citizens, it is rather sets of people who say they know everything and anything from the past, present, and future, because a post-Bronze Age anthology of fables says so. They dare reconstruct history in order to make Moses a Founding Father in textbooks (yes, I’m talking to you Texas!). They dare attempt to take the rights from tax-paying citizens because a collection of historically fallacious myths says so. They were bold enough to place within various state constitutions that atheists couldn’t run for public offices–another unconstitutional move that was allowed . Luckily, we, the People, have the Supreme Court to handle these things.